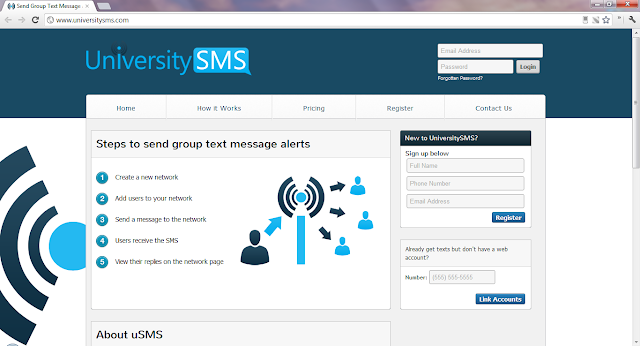 UniversitySMS was created to help groups to instantly connect with all their members. With uSMS, network owners have access to powerful tools to better organize their group. Members can stay up to date with the group text message alerts sent directly to their phones. Network admins can then view replies and reply to all members, sub groups, or individual members.